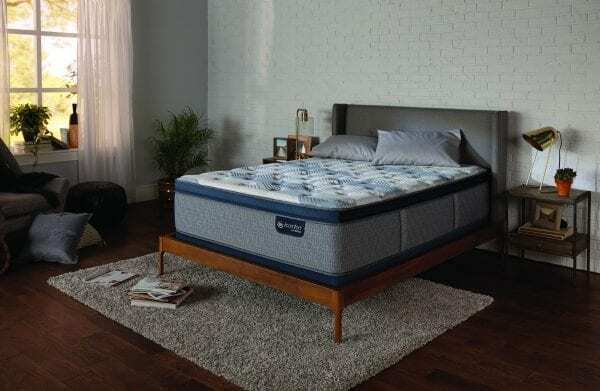 For people who prefer a firmer mattress, the new iComfort Blue 300 Firm mattress from Serta combines the science of cooling technology with the incredible support of Serta memory foams. 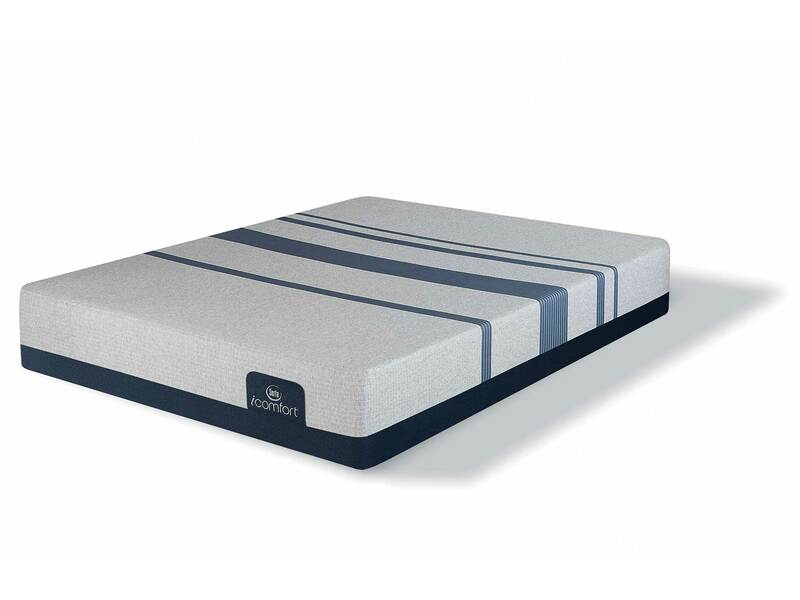 Created to feel stable and deeply supportive, the iComfort Blue 300 has an firm feel while simultaneously eliminating pressure points. Here are a few of the reasons customers love the iComfort Blue 300 Firm mattress, now available at Best Mattress stores. 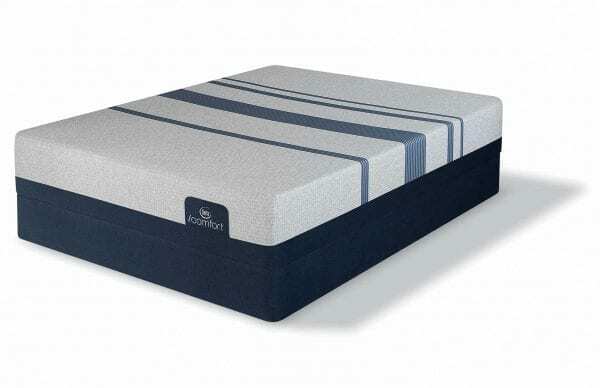 If you prefer firmer mattresses, the layer of Deep Reaction™ Memory Foam found in the iComfort Blue 300 Firm mattress will help you to get the best sleep of your life. 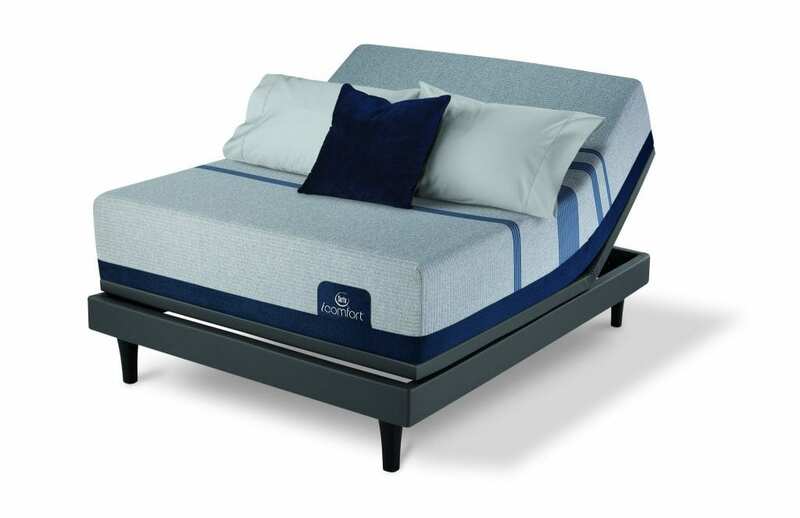 Created especially for firmer iComfort models, this layer of supportive foam provides a deep-down supportive feeling that promotes mattress stability—and limits motion transfer. Do you ever feel too warm when you try to fall asleep? To resolve this age-old problem, Serta created TempActiv™ Gel Memory Foam infused with millions of gel microbeads. Designed to trap heat and dissipate it away from your body, this special layer of gel foam helps to regulate the temperature of your bed. TempActiv™ Gel Memory Foam is also incredibly supportive, helping you to support your spine and body properly. When memory foam was first invented, it wasn’t very breathable, which made people feel warm and clammy when they slept. 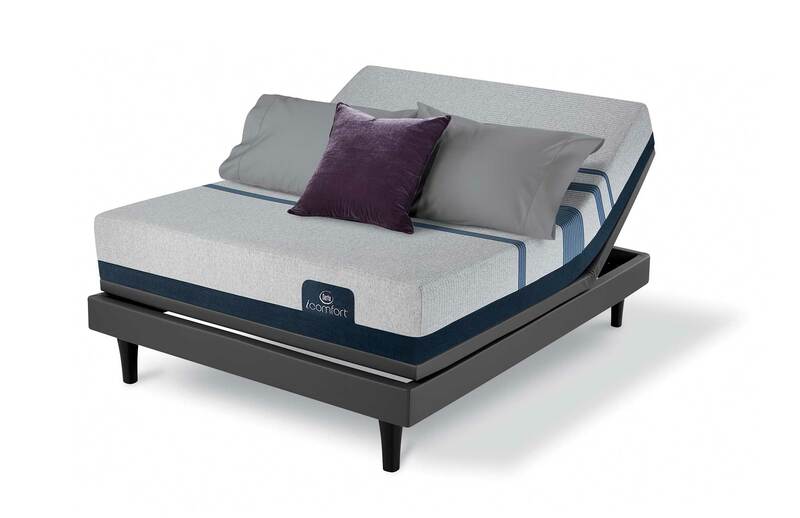 Fortunately, the new iComfort line from Serta features EverCool® Fuze Memory Foam, a high-density gel foam created with an open cell structure to encourage airflow. To make this layer even more comfortable, it is cushioned by a layer of Serta® Support Foam, which is designed to improve the stability and comfort of the mattress. 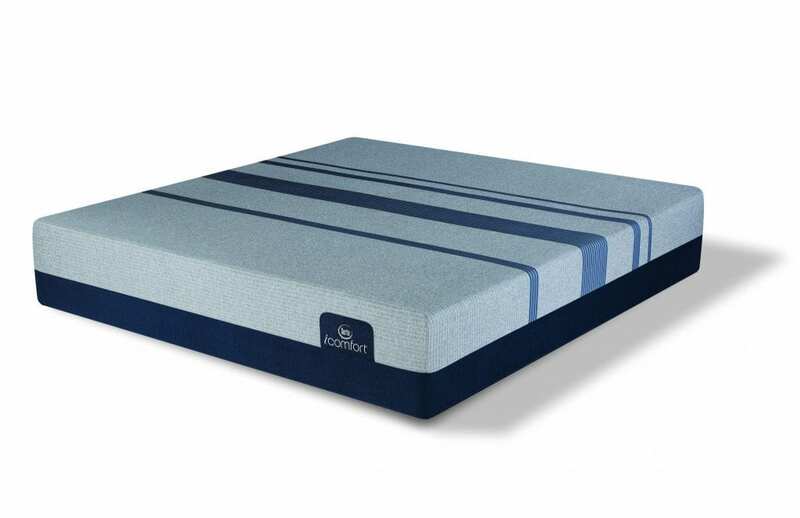 One of the biggest problems plaguing most mattresses is the fact that the edges of the mattress tend to fail, leaving people with roll-off and edge support issues. To prevent these problems, the iComfort Blue 300 Firm mattress contains a seven-inch Serta® Ultimate Edge® Foam Support Core. 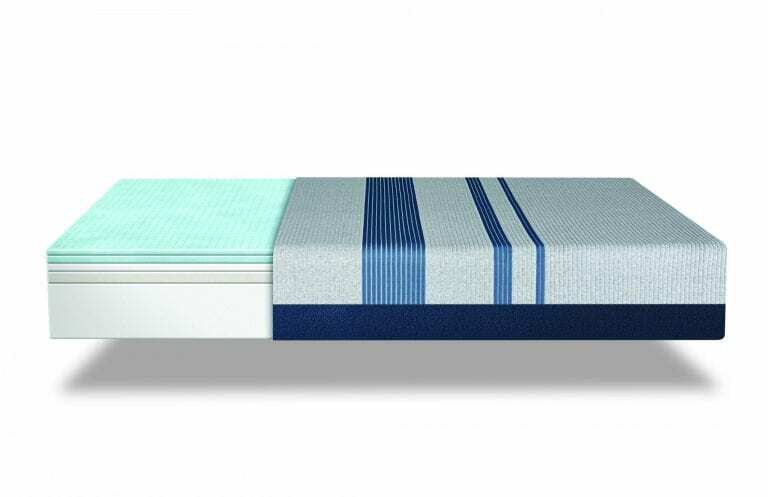 This special foam edge support system helps to increase the usable surface of the bed, making people feel like they have more room. Protecting their customers is important to Serta, which is why they only design and build their mattresses within the United States. Making their products in the United States helps this mattress manufacturer to protect American jobs, and prevent problems like pollution. Although most people don’t realize it, not all foams are created equal. Some foams are made with potentially dangerous chemicals, which is why Serta only uses foams that are CertiPUR-US Certified. To become certified, foams have to be made without dangerous chemicals like formaldehyde, phalates, heavy metals, TCEP flame retardants, and ozone depleters. These special foams also emit fewer volatile organic compounds, preventing odors and keeping your air clean. 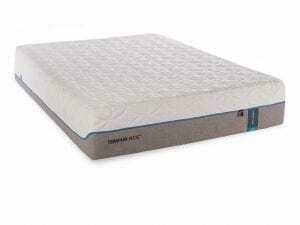 The iComfort Blue 300 Firm mattress also comes with a 10-year limited warranty, protecting customers from issues like sagging, cradling, and manufacturer’s defects. To learn more about this powerful warranty, visit Serta online. 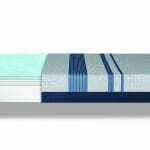 Not sure what kind of mattress you are looking for? 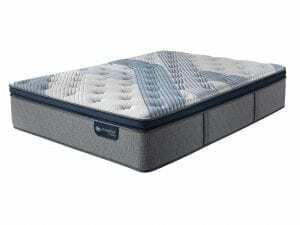 Visit a Best Mattress near you today to explore an incredible variety of top models. In addition to offering a wide variety of mattresses in a clean, comfortable, and no-pressure space, Best Mattress makes mattress shopping easier with programs like our 120-Day sleep guarantee and complimentary delivery, set-up, and old mattress haul away. 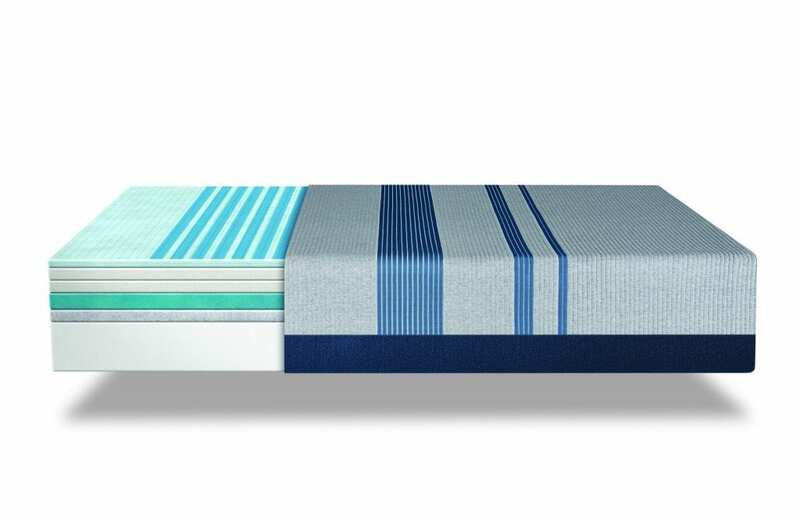 Whether you are looking for replacement mattresses for an entire hotel or you are thinking about upgrading the beds in your home, Best Mattress has the mattress sets, bedding, and product accessories you need to stay within budget and enjoy a better night’s sleep.